Hello!! I am really excited for this blog! I made a two page layout for my daughters first birthday today! Even though I am caught up with my scrapbook for her, I have to do some pages for my mom as I gave her an ampty scrapbook for christmas with the assurance that she will receive random pages in the mail at different times in the year...sometimes you just get a little behind with all your crafting!! ack!! Anyway, not only did I get a great sketch idea given in a challenge for me to use, but I also got to make a project that could be entered into two (make that three) challenges. I am entering this into Made by Momo's Tuesday Challenge (this tuesday is Challenge #20), and it is anything Princess Themed. Well my daughter is a little princess, but I also used a cricut imagine "you're my little princess banner." I am also going to submit this to Cooking with Cricut for Challenge #15, which is anything birthday themed. This is my chance to get some peachy keen stamps without going way over budget on an order becuase "I just can't help myself!!" Who hasn't said that before in a scrapbooking store...ahhh...I have heard every response from my husband possible! 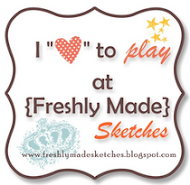 ha ha ha...anyway, Peachy Keen Stamps is the sponsor this week, so go on over and check it out, enter a project!! Anyway, onto my project, I am really happy with how this turned out, it had a little bit of everything on it. Heat embossing, dry embossing, cricut imagine and expressions, brads, ribbons, photo mats. and of course really cute glittery background paper!! Its kind of hard to tell with the heat embossing, I sort of made the blue and pink embossing overlap a little bit. That is something that I really like doing a lot, usually I'll make it overlap a lot and use it as a background for my titles or something. Recipe: Cricut Imagine best friends, storybook cartridge, "just because" cards cartridge, DCWV Glitter Stack background Paper, Recollections and a few other unknown brands of matchin cardstock. Misc Ribbon from micheals for both banner and runner. Miscallaneous brads, i think I got most of them from eyelet outlet, kaiser craft pearls, doodlebug designs cherry brad, D'vine Swirls and Candy Stripes Cuttlebug embossing folder, Magenta and turqouise ranger embossing powder, inkadinkadoo cute kid saying and flourish stamps, versamark watermark ink, and black ink. PHEW. Another exciting thing is....that my husband got everything on tape as I was making this layout (minus all the cricut cutting, I did that before hand) I figured most people know how to use their cricut better than I do probably!! Anyways, he is editting as I speak. not sure if it is even going to be"postable," or when that will even happen, it may take a while to do the editing...we will see. I will only post it if it is somewhat decent (ie. you can actually tell what I am doing), and it is under 10 minutes!! Anyways, so that will be my inaugural video post! ha ha ha...yay!! We shall see how it goes! Anyway, thanks again for looking! Can't wait to check out all your blogs!! have good sleeps!! p.s I am also going to submit this to My Pink Stamper for their something yummy challenge! yay! (this time I will make it befire mr. linky disappears!! This is TOO cute, Brenna! I love all the little details -- the embossing, the bling - your Mom is going to love getting this in the mail. Thanks for sharing it with us this week at Cooking With Cricut. What a pretty layout!! Love the embossing and bling on the ice cream. Thanks for playing along with us at Cooking with Cricut. Come over to my blog for a great new announcement about a new website launched for cricut users! Great project Brenna.. Love that ice cream embossed ! Thanks for share with us this week at CWC and good luck with our challenge. what a fun layout! I really like the paper you used. I am Brenna Anderson, Independent Stampin' Up Demonstrator in Calgary, AB Canada. I love paper crafting and love all things Stampin' Up! My husband and two daughters really just put up with my crafting (obsession) hobby. Hopefully as my daughters grow we can share the passion together! A project and an Award!!! Spring Sunshine: Will it ever come? Disney Dreamer Designs Blog Candy!